As November (National Alzheimer’s Awareness month) is winding down and we continue to see efforts to educate people about this disease, it is easy to lose sight of why it is so important to build awareness year round. For some, it may seem like people are generally aware of the damage Alzheimer’s can cause, the fight for a cure, and the advancements for treatment that could be made. However, there are many things people may not know about the disease and assumptions that could be debunked by those who experience Alzheimer’s in their daily lives. Most cases of Alzheimer’s aren’t detected until its late stages – meaning people usually either don’t spot the symptoms or they ignore them to be a sign of old age. 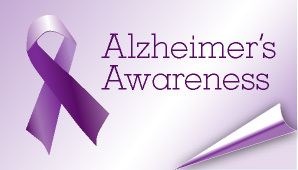 In some cases, people feel like Alzheimer’s cannot be treated so they bypass medical assistance all together. There are treatments for Alzheimer’s – in that you can delay its progression significantly. Medical advancements have helped patients live longer when they maintain healthy habits and keep careful track of their condition. Certain practices earlier in life can increase a person’s risk for Alzheimer’s disease, such as not eating right or not getting enough exercise. In some cases, people who have experienced Alzheimer’s – sufferers, their families and friends – are afraid to talk about the disease. Sufferers may feel they might be treated differently. Of course, there are more reasons to educate people about Alzheimer’s and participate National Alzheimer’s Awareness month. There are also even more reasons to continue after November is over – as often and as much as possible – for families, sufferers, and caregivers.